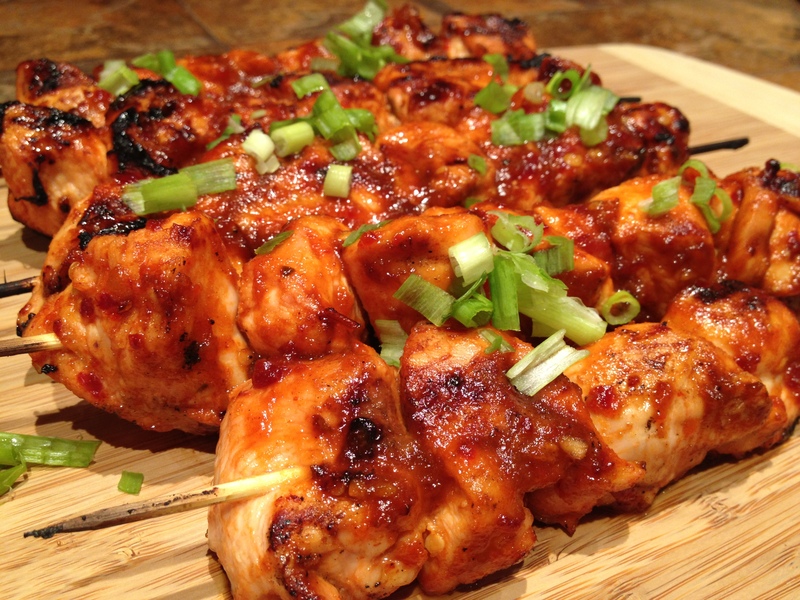 Sriracha Glazed Chicken Kebabs – T.W.O. Sriracha sauce has been around for many years, but it seems like just recently this sauce has become the “new hot sauce” and is being used to create innovative dishes. T.W.O. decided to take their traditional kebab recipe to the next level and spice it up to create Sriracha Glazed Chicken kebabs! The recipe is very simple and requires no marinating time. The chicken stays so moist from its spicy, sticky glaze and will no doubt make you want more! First, soak the bamboo skewers in water for at least 30 minutes. This prevents the skewers from splintering or breaking. Next, heat up your grill to a low-medium heat. 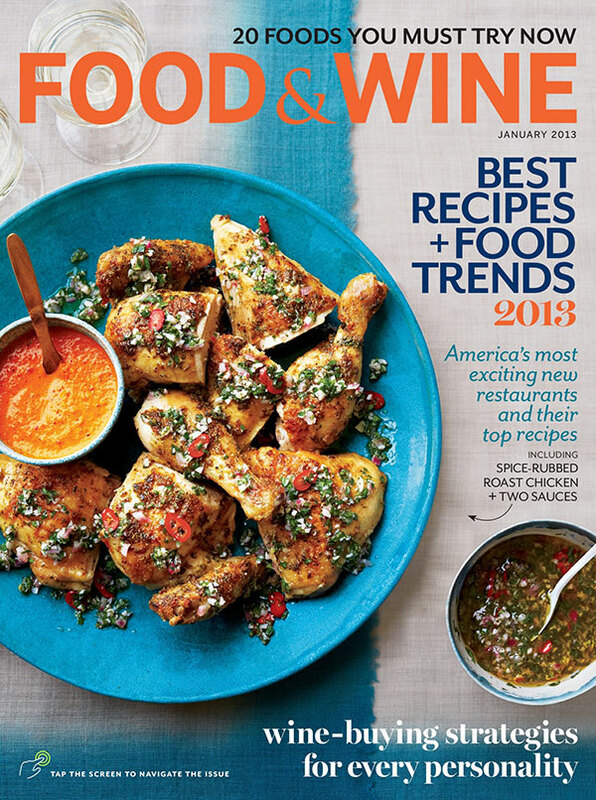 While the grill is heating up, cut the chicken into cubed-chunks and place in a large bowl. 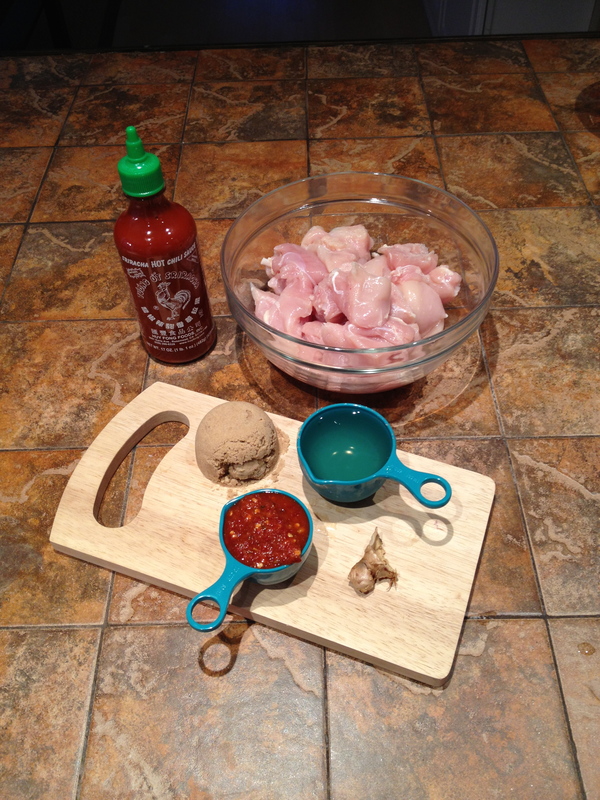 Whisk brown sugar, vinegar, chili paste, fish sauce, Sriracha, and ginger in a bowl. 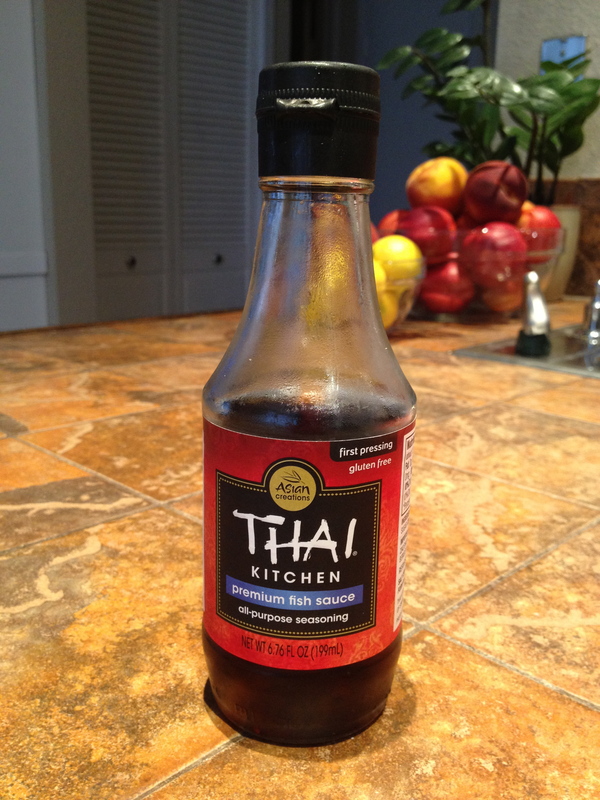 Pour this marinade over the chicken and mix so that all the chicken is covered. Now its time to skewer the chicken. After all the chicken is on the skewers, place the remaining marinade in a saucepan and bring to a boil. 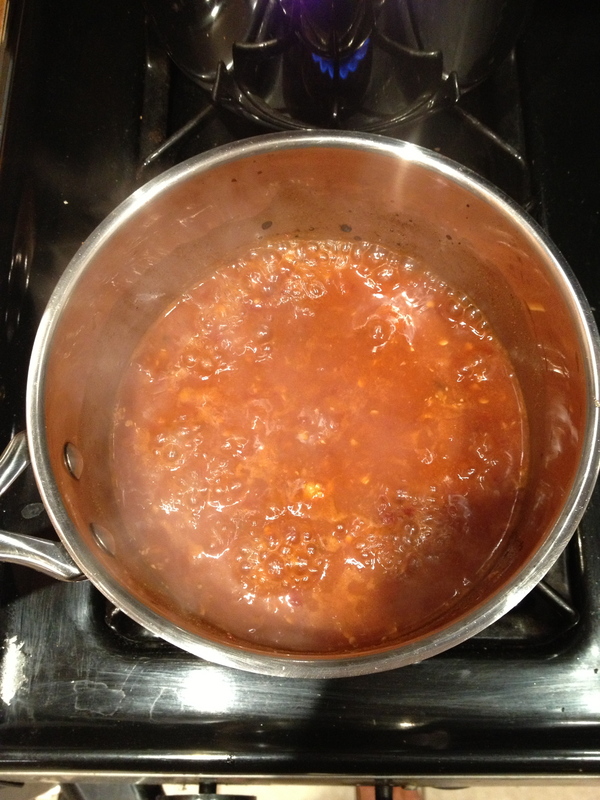 Once boiling, reduce the heat to low and simmer until it is reduced by half. This should take about 7-10 minutes. Once the marinade is reduced, take the chicken and marinade to the grill. Place the kebabs on the grill and baste with marinade. Make sure to keep turning and basting the skewers so the chicken doesn’t burn and remains moist. 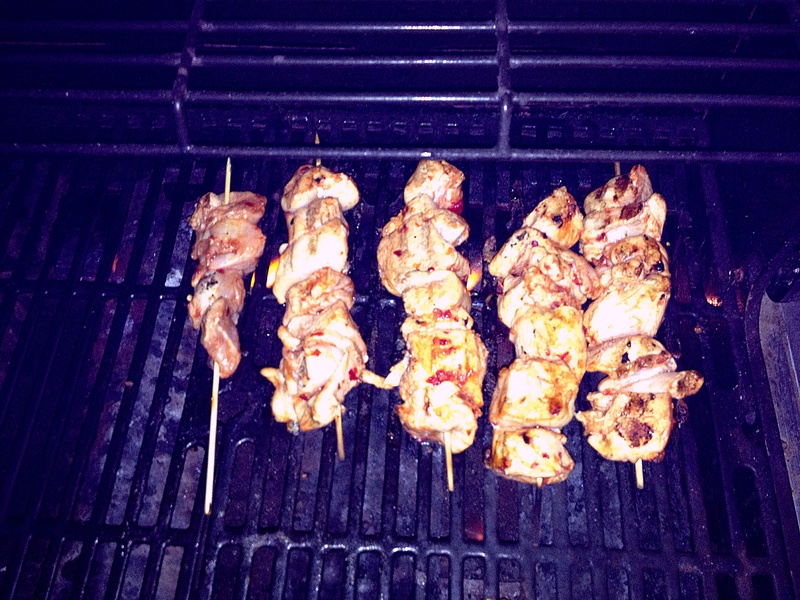 Continue basting and flipping the skewers until chicken is done. 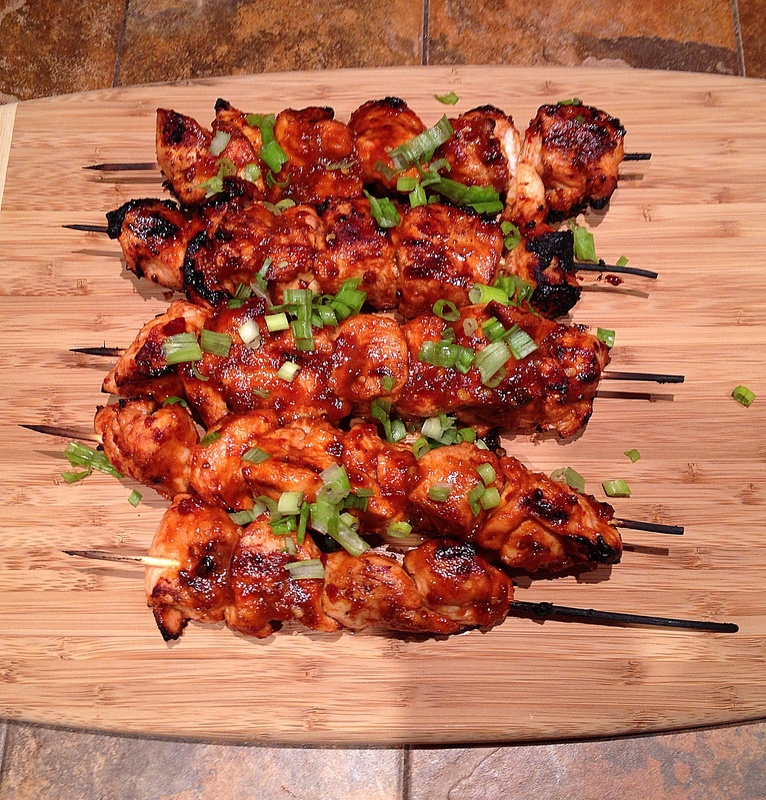 (8-10 minutes, depending on the grill) Take your chicken off the grill and plate on a platter. Garnish the skewers with the chopped green onions. Now it’s time to eat! Yummy! I’d love to have this for dinner!